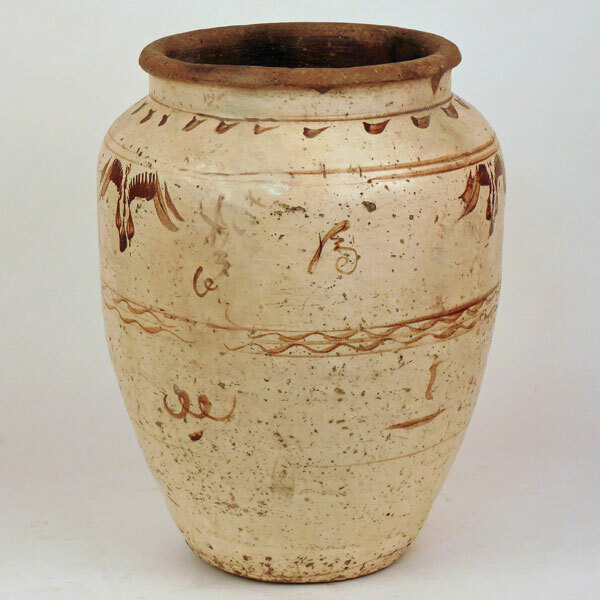 Cizhou (also Tz'u-chou) stoneware wine storage jar. 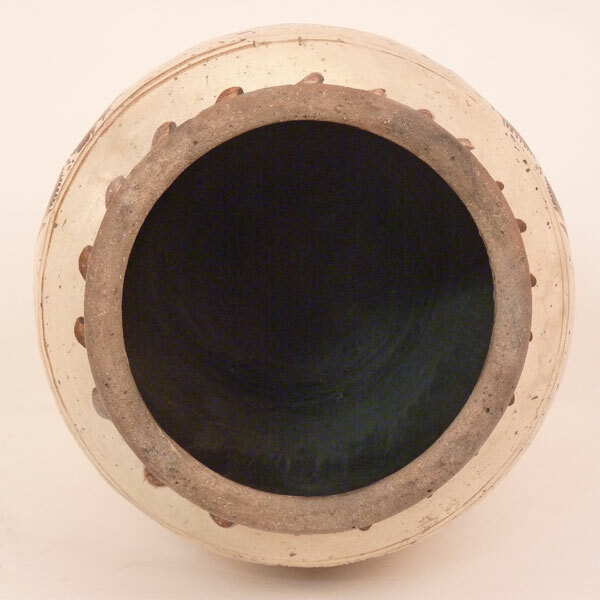 These sturdy stonewares were developed during the Northern Song period in the 11-12th century and named for Cizhou, a prefecture in Handan in, southern Hebei, northern China and well known for its pottery making kilns. 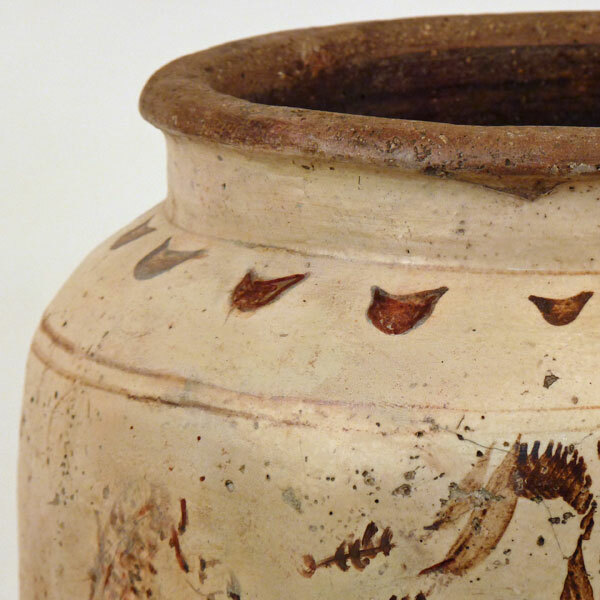 Cizhou ware traditionally consisted of a transparent glaze applied on an off white slipped-body with various shades of iron brown pigments, black and grey over glaze painted designs, motifs and characters. 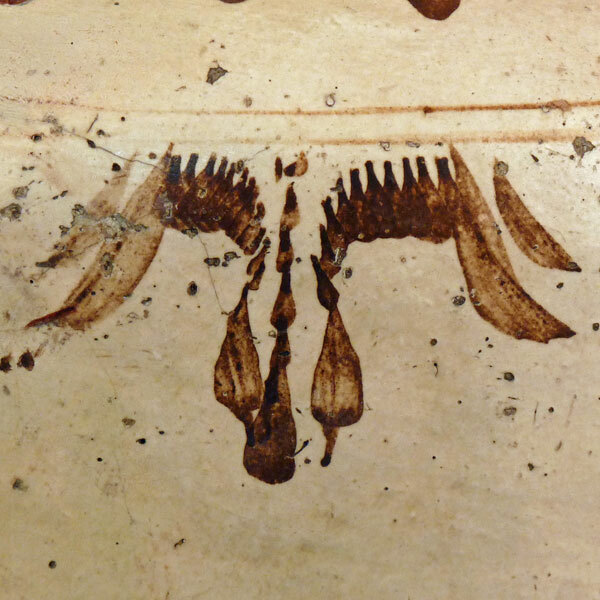 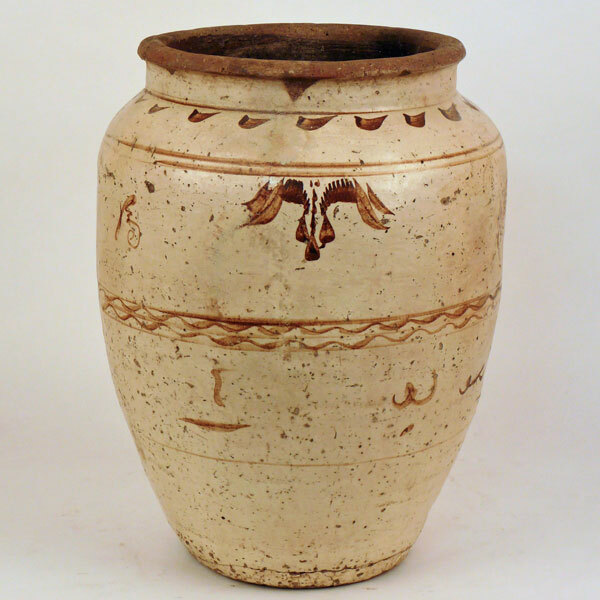 This jar features a rolled rim atop a cylindrical neck with real leaves motif.